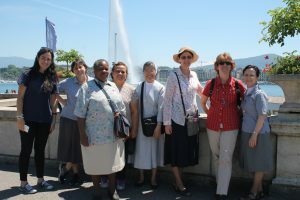 On June 6 thru 23, 2017, at Palais de Nations, Geneva Switzerland, the IIMA office was busy with work as they prepared for their participation in the 35th regular session of the United Nations (UN) Human Right Council (HRC). The main role IIMA played in the 35th UN HRC was through the submission of oral statements thanks to the work of interns and volunteers. Four oral statements were given on behalf of IIMA and VIDES, along with the co-sponsorship of several other joint statements. The first oral statement was presented on June 9th by Katherina Kang, on the occasion of the Interactive Dialogue with the UN Special Rapporteur on the rights of migrants. By addressing particularly the challenges faced by migrant youth, the statement highlighted how young people age out of most social services, yet still lack the basic needs to fully enjoy their human rights and effectively participate in society. On that same day a second oral statement was given by Katherine Webber during the Panel Discussion of Unaccompanied Migrant Children and Adolescents and Human Rights, regarding IIMA’s concern over the growing number of unaccompanied migrant children and the need to migrate due to the lack of opportunity, particularly access to education, in their countries of origin. On June 14th two statements were given during the General Debate under item 3. The first statement was given by Berangere Gramaccioni on the linkage between climate change and the full enjoyment of the rights of the child, in the context of a recent study realized by the OHCHR on the topic. Information provided through the statement stemmed from an in-depth analysis and data collection on climate issues carried out by IIMA through consultations with its 95 countries network worldwide. Noting that an unstable climate’s greatest victims are children, it was recommended to States to improve education and sensitization on the issue. The second statement on June 14th was given by Katherine Webber on the lack of UN mechanisms addressing the rights of youth. In fact, young people can be active promoters of human rights for the whole society, if they are provided with conducive conditions to foster this positive change. This statement was in response to the recent report on the Panel Discussion on Youth and Human Rights that IIMA and VIDES participated in. Among other joint statements, IIMA and VIDES supported a statement submitted by the International Catholic Center of Geneva (CCIG) on behalf of 18 NGOs, addressing the need for improved effectiveness of the Universal Periodic Review (UPR) with particular regards to the implementation of recommendations made by Member States during the UPR process. In addition to participating in the UN HRC by both attending sessions and presenting statements, IIMA hosted a 10 day training course on United Nations mechanisms and current world human rights issues, addressed to 7 human rights defenders coming from various countries including Italy, Brazil, Mozambique, and Germany. Attendees are now better equipped to recognize human rights violations back in their respective countries of residence, along with a better understanding on the importance of addressing current issues in the field. 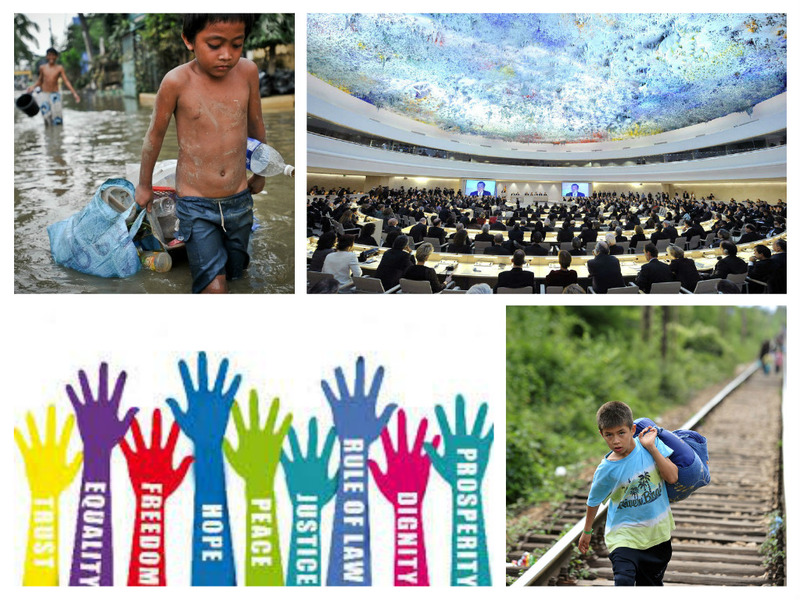 IIMA’s participation in the UN HRC through attending, presenting, and educating, is part of IIMA’s greater mission to fight for human rights and the right to education for all.